In addition to being the head of dental medicine, Ronald Burakoff, DMD, serves as program director of the General Practice Residency Program at LIJ Medical Center. As chair of the department, he oversees dental residency education for the five residency training programs and 44 residents at Northwell. 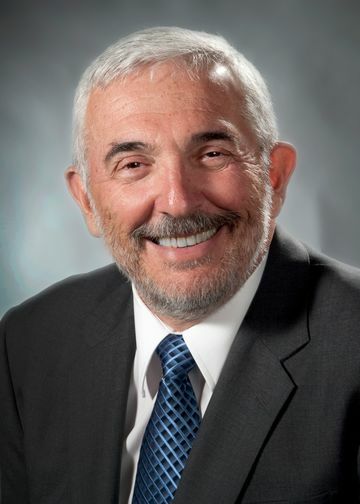 Dr. Burakoff has been associated with hospital dentistry since 1974. His most recent project has been the launching of a mobile dental unit to address access issues for children, pregnant women and the elderly living on Long Island. A diplomate of the American Board of Dental Public Health, Dr. Burakoff holds academic appointments at both New York University College of Dentistry and Columbia University School of Dental Medicine. As the current chair of the Performance Improvement Coordinating Group at LIJ Medical Center, Dr. Burakoff communicates quality management activities to the medical board. He has authored more than 20 articles and book chapters. Dr. Burakoff received a DMD degree from Tufts University School of Dental Medicine. Following graduate training in dental public health at the University of North Carolina, he completed a residency training program in dental public health at the New York State Department of Health’s Bureau of Dental Health. Ronald Burakoff, MD, recommends that his patients drink very little alcohol, if at all, to avoid disease-causing bacteria.